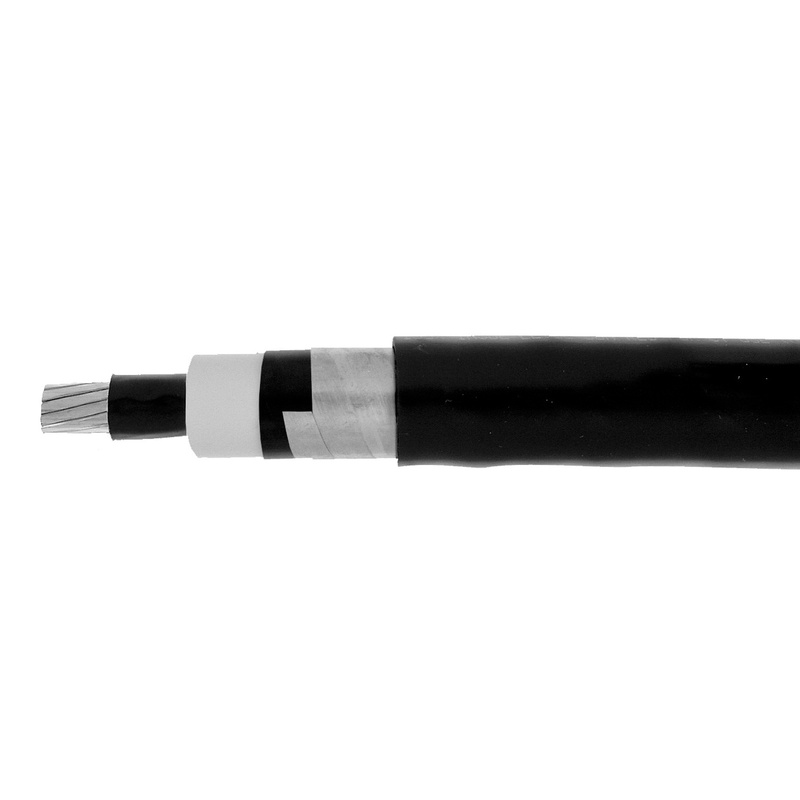 Omni Cable 2-AWG Shielded medium voltage power cable with 0.08-Inch thick PVC jacket, has a nominal outer diameter of 1.01-inch. The insulation has a nominal outer diameter 0.75-Inch and thickness of 0.22-Inch. It features extruded thermoset semi-conducting stress control layer around the conductor and insulation has free stripping of thermoset semi-conducting polymeric layer. The annealed bare copper cable offers metallic shield to annealed copper tape with an overlap of 25%. The 15-Kilo-Volt cable has single conductor and is suitable for use in wet or dry locations, aerial, direct burial, conduit, open tray and underground duct installations. The power cable meets UL 1072, NEC, IEEE 1202 and OSHA standards.